"The Life and Work of Richard Wagner"
A newly restored silent landmark of the first feature-length film to be made about the composer Richard Wagner with an original piano score composed and performed by Jean Hasse. As part of the 200th anniversary celebrations of Richard Wagner’s birth, the Bayreuth Festival has staged a new production of the Ring - by the artistic director of Berlin's Volksbühne, Frank Castorf. Castorf, who clearly had very limited rehearsal time, takes an essentially non-Wagnerian view of the work. The result is a provocative, irritating yet fascinating production that could best be described as an 'imploded' work of art. I find Castorf’s distinctly unmusical approach to Wagner is fundamentally problematic. There are few signs, if any, that the director is able to relate to Wagner’s music, with the exception perhaps of his seemingly ironic efforts to trivialise the central scenes and climaxes. The production is both fascinating and irritating. Stefan Herheim's long awaited production of Die Meistersinger von Nürnberg at the Salzburg Festival premiered Friday last week. It was well received by the audiences, generally also by the critics. According to Washington Post, Peter Gelb, General Manager of the Metropolitan Opera, was in the audience on the premiere of Herheim's “Meistersinger” and afterwards made preliminary arrangements to bring it to the Met in a future season. The production is probably Herheim's least disturbing and most conventional so far. The action takes place in a dream Hans Sachs is desperately trying to remember and write down. The scene of the first act is Hans Sachs' giant writing-desk. 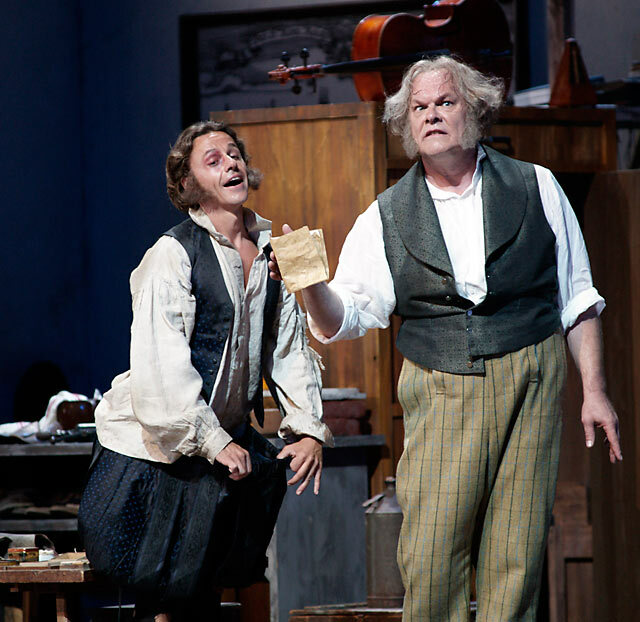 Beckmesser is neither caricatured nor demonized in this production. In fact, he is seen as another side of Hans Sachs. Georg Zeppenfeld (Veit Pogner) almost overshadowed the poor playing by the Vienna Philharmonic (booed at the end), led by Daniele Gatti (also booed), mostly lagging just enough to lose all tension and speeding up rather irrationally here and there. Gatti had no feeling for the wonderful lightness in the score, and certainly not the humour and irony that a conductor of this opera must bring out. The Pocket Opera Company in Nürnberg is staging Richard Wagners Singspiel fragment “Männerlist größer als Frauenlist oder Die glückliche Bärenfamlie” (WWV 48) for the first time in a completed version this summer. The premiere will be on 27 June in a large circus tent in the Stadtpark in Nürnberg. Further performances will take place on 29 June, 4 July and 5 July. The production will be directed by Peter P. Pachl and conducted by Franz Killer, who also completes the score. Wagner 200 is a wide-ranging, London-based festival to celebrate the bicentenary of Richard Wagner’s birth. It opens on 22 May on Wagner’s 200th birthday and features events from May to December 2013 in association with leading cultural organizations including Royal Opera House, Southbank Centre, Barbican Centre, Royal Albert Hall, Kings Place, British Library, Philharmonia Orchestra, London Symphony Orchestra, BBC Symphony Orchestra, BBC Radio 3, The Wagner Society, Opus Arte, London Song Festival and London Jewish Cultural Centre. Wagner 200 has a particular focus on British artists, offering a spectrum of talent from the most distinguished to the rising stars of today. The Cambridge Wagner Encyclopedia (edited by: Nicholas Vazsonyi, University of South Carolina) is to be published in August 2013. Richard Wagner is one of the most controversial figures in Western cultural history. He revolutionized not only opera but the very concept of art, and his works and ideas have had an immeasurable impact on both the cultural and political landscapes of the late nineteenth and twentieth centuries. From 'absolute music' to 'Zurich' and from 'Theodor Adorno' to 'Hermann Zumpe', the vividly-written entries of The Cambridge Wagner Encyclopedia have been written by recognized authorities and cover a comprehensive range of topics. More than eighty scholars from around the world, representing disciplines from history and philosophy to film studies and medicine, provide fascinating insights into Wagner's life, career and influence. 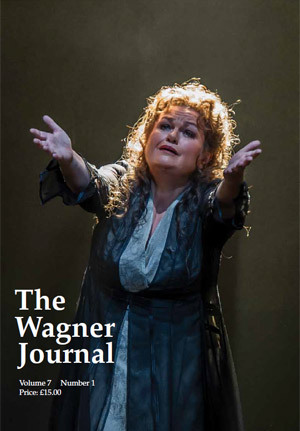 Multiple appendices include listings of Wagner's works, historic productions, recordings and addresses where he lived, to round out a volume that will be an essential and reliable resource for enthusiasts and academics alike.